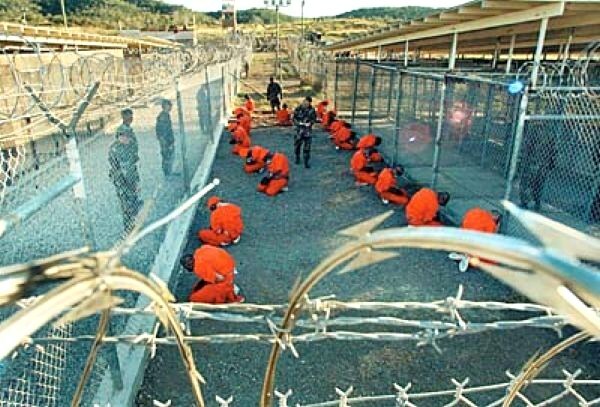 COMMENT: Martin:I am writing to confirm what you said about Guantanamo. Please do not cite me by name, but I am the military officer who wrote you previously from his …. Some of the soldiers I work with were previously stationed at Guantanamo and I spoke to them about the exchange: They confirmed through their first-hand experience what you wrote. I was told that the majority of the prisoners there were just in the wrong place at the wrong time, and that they aren’t going to trial because either there was no evidence to begin with or US forces/ISAF failed to properly collect and document the evidence. I was also told that they are desperate to get rid of these guys: They’ve made a lot of mistakes in the past(such as sending them home in Jeans and a T-shirt, leading those in their home country to mistakenly assume they were Americanized and turned into double agents) that have forced them to stop releasing detainees. Bottom line: What you write is almost certainly true based on what I’ve been told. They’re desperate to unload them without getting burned politically and these exchanges appeared like a good way to do that. REPLY: There was a so-called terrorist who happened to live next to the main guy who flew the plane into WTC. He was from Afghanistan and moved here because he had two daughters and disagreed with their religion. He was told to plead guilty by the court appointed lawyer to 17 years or he would be given life. He was reduced to tears and complied fearing he would never get a fair trial. I also met the famed box-cutter terrorists who they arrested on a train to Texas. One was actually a Christian. The government realized they made a mistake and put them through what is called “diesel therapy”. That is when they move you from prison to prison everyday so nobody can find you and you cannot call anyone for help. They were saved by their families who contacted the press to inform them they were not terrorists. The NY Times was trying to track them. I personally read the deportation papers. They rushed him to court and told him to sign the papers and he would be deported that day. He looked absolutely terrified, starved to the point you could see the bones. He asked me to please read the papers for he did not trust the court appointed lawyers. He would be deported with no charges but could never sue the government for what was done to him. I read the papers. So I have first hand knowledge of what was going on in many ways. « The Terrorist Exchange – Fake or Real?